Tel Aviv is a leading innovation ecosystem of world class tech talents, leading multinationals and an entrepreneurial culture which generates hundreds of top startups. The city was recently named Europe’s leading tech hub by the Wall Street Journal and ranked by Startup Genome as the 5th best place in the world to open a startup! is Tel Aviv Startup Bizcamp? 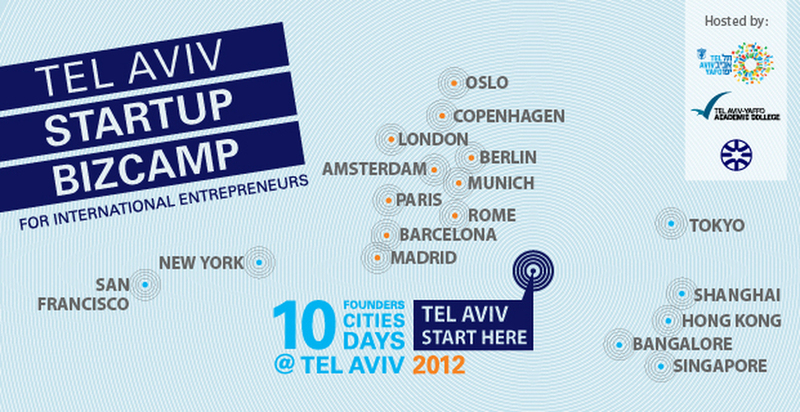 Tel Aviv Startup Bizcamp is a program for foreign startup founders in the city of Tel Aviv. Tel Aviv Startup Bizcamp is a packed 10 days of lectures, workshops and meetings with leading Israeli hi-tech entrepreneurs, investors and professionals from the local Tel Aviv tech scene. Its aim is to provide participating entrepreneurs with insights and tools from experienced mentors and to connect them with Tel Aviv’s vibrant and supportive startup community.